As a mission-driven company our core objective is to empower students to achieve their full potential. In pursuit of this objective we develop cutting-edge technology aimed at transforming your relationship with your data. We turn education data into stories that students, parents, educators, and administrators can easily understand. 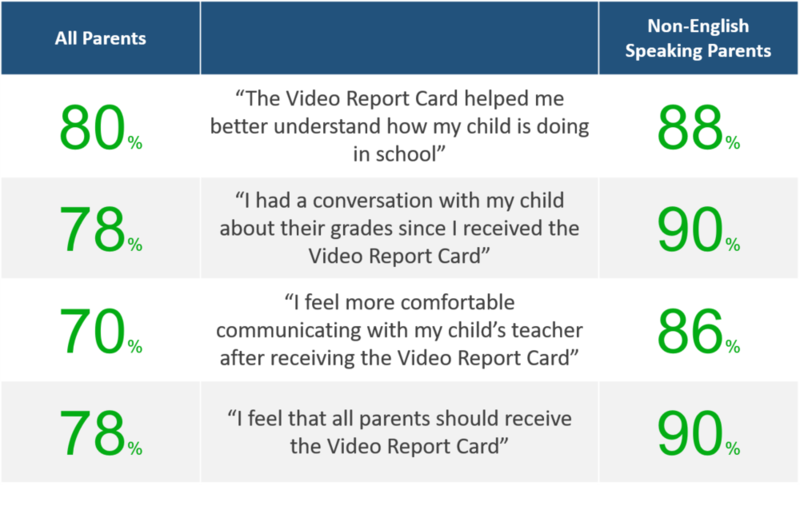 In March of 2018 leading education research organization WestEd completed a study of Spotlight’s Video Report Card. The findings are evidence that Spotlight's Video Reporting Technology is not only cutting-edge innovation, but also a powerful tool for closing the "information gap" that exists between students and families at varying levels of income, education, and English-language facility.